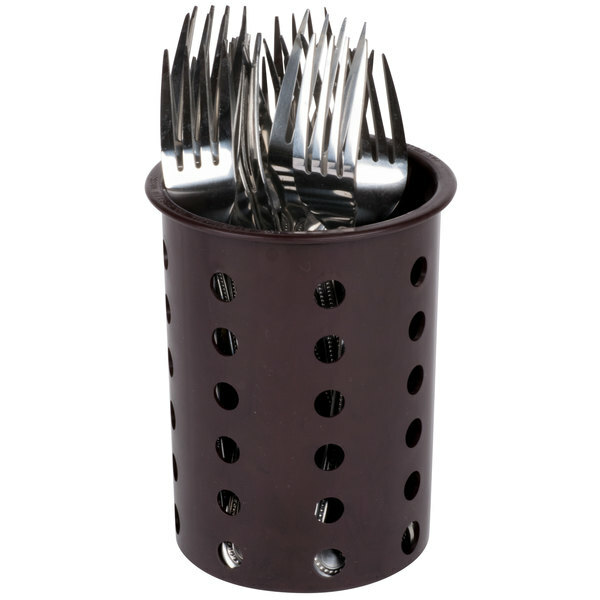 Serving as the perfect solution to your flatware washing, storage, and dispensing needs, this Steril-Sil RP-25-BROWN brown plastic straight sided flexible silverware cylinder provides a multi-purpose space for your most popular forks, spoons, and knives. 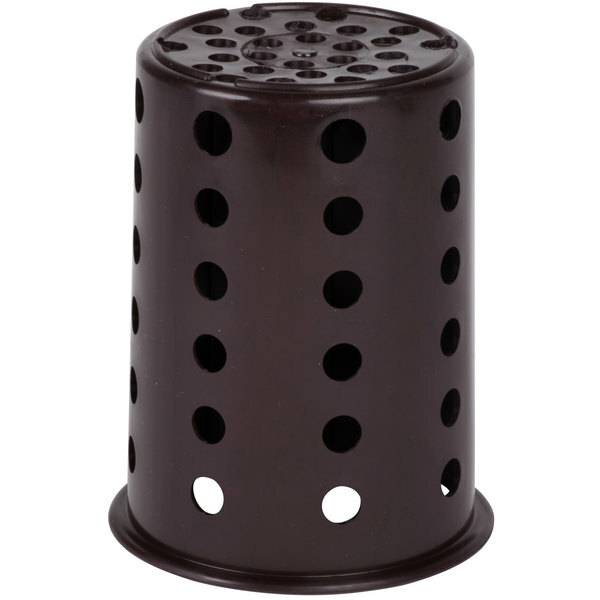 This cylinder is designed to fit neatly within any 4" cutout, giving your guests quick and easy access to the items they need to enjoy their dining experience. 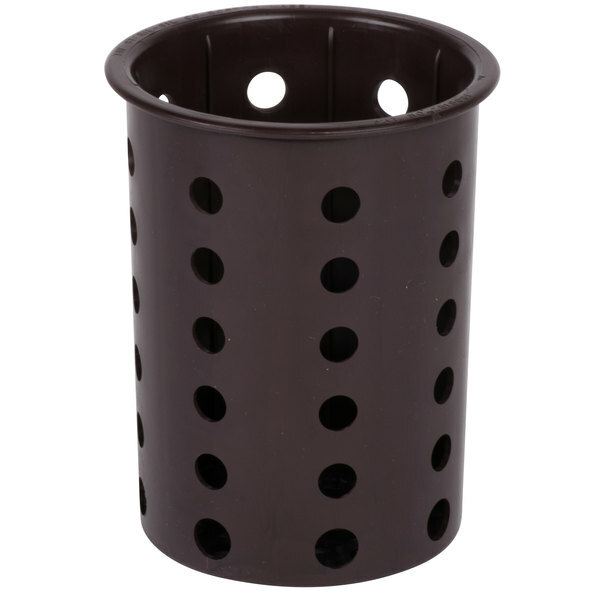 In addition to its flexible poly material, the cylinder's durable, one-piece construction ensures long-lasting use. 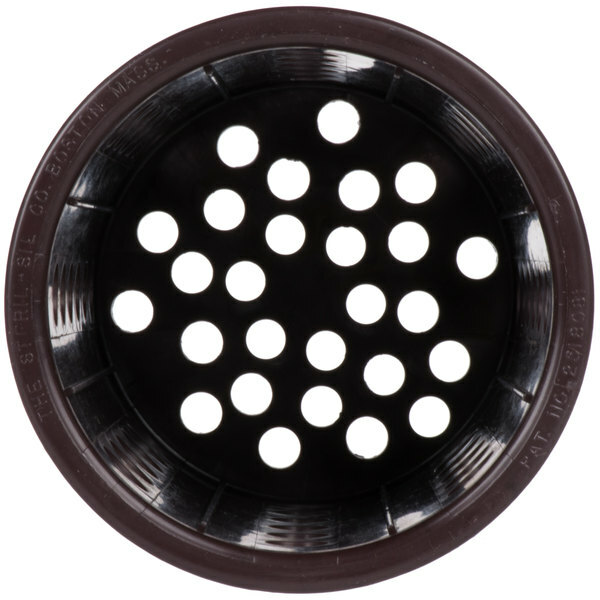 A perforated design allows for increased visibility of the contents inside as well as the ability for increased air circulation, allowing for your flatware to dry quicker upon leaving the dishwasher. 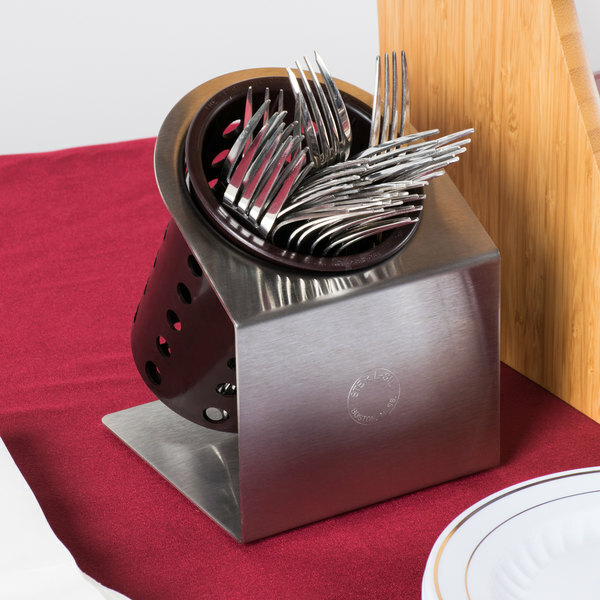 A straight sided mold provides up to 50% more capacity than similar tapered models and helps prevent the flatware from jamming together, and a wide, stable base decreases the potential for the item to tip over and spill its contents. 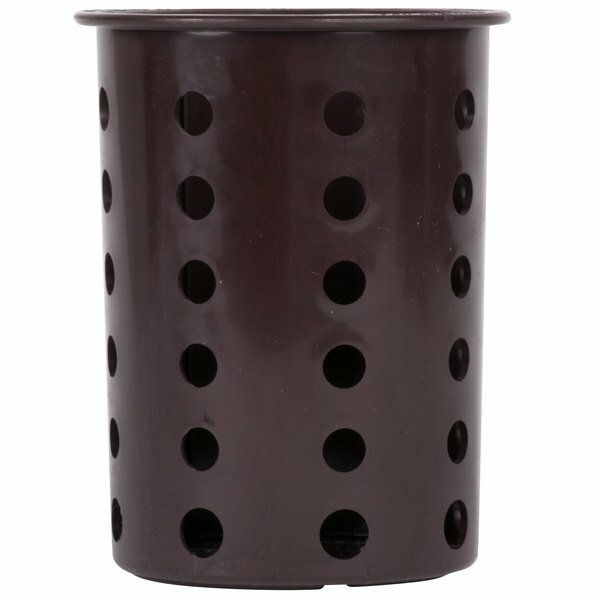 Available in a wide variety of eye-catching colors, these cylinders are perfect for color-coding your flatware per the universal HACCP program to help eliminate the potential for cross-contamination. 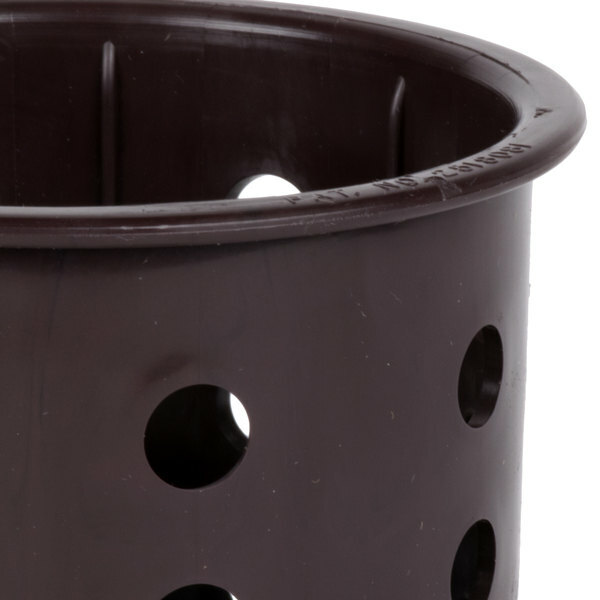 Additionally, they can be used to simply match school colors or complement your existing restaurant decor, creating a one-of-a-kind look that's as practical as it is colorful. These are great! I use them for sorting, washing and storing silverware, for clean tasting spoons on the work table, keeping spatulas handy and more. I was concerned that "flexible" meant they would be soft or wobbly, but they are quite stiff and sturdy, and more economical than stainless ones.